ATS Scientific Inc offers a wide range of analytical instrumentation and technologies. As part of our on-going commitment to our customers, we offer the following post installation services. Our product managers and technical service staff can offer training courses at your facility for our complete product line. Training courses are customized to suit your needs, choose from half day or complete day training courses to train your staff on advanced instrument operation and applications. 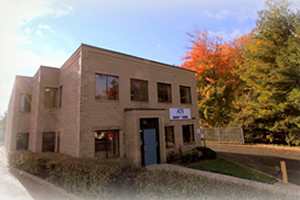 Our technical staff offer training courses in our Burlington, Ontario head office. Theoretical and application training is offered in our state of the art training room, along with hands on instrumentation training in our demonstration lab. ATS Scientific Inc and our instrument manufacturers offer webinars on an on-going basis, please contact our technical department to learn about upcoming webinars. Training videos are also readily available for many of our products. To keep our valued clients updated with product innovations and new applications available for our broad range of instruments, we offer complimentary on-site Lunch and Learn sessions. Alternately, we welcome your ideas on topics that would be of interest and can offer customized workshops or webinars on sample preparation or on analytical challenges you may have. Please contact us with your suggestions.